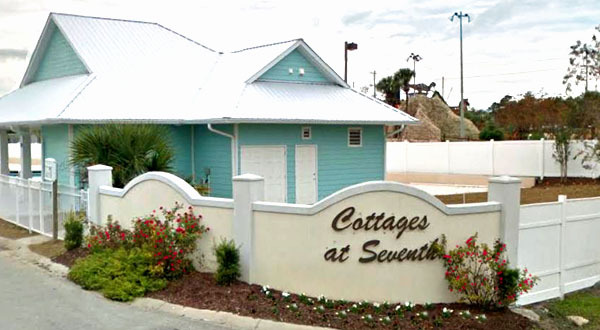 Just off US 17, The Cottages at 7th are less than a mile from Cherry Grove Beach and the Cherry Grove Pier. 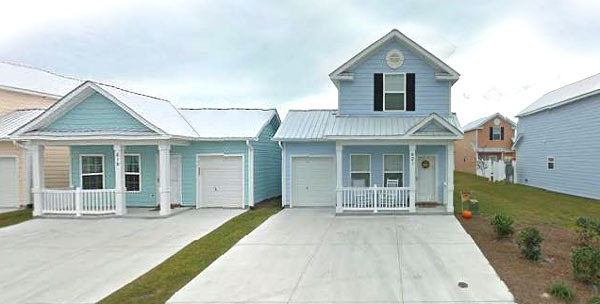 This is one of the best addresses in North Myrtle Beach. Doctors, dentists, grocery stores, Super Walmart and everything that makes daily life simple and convenient is just a few blocks away. The many amazing Grand strand beaches, shopping, dining, golf courses, and entertainment opportunities that make life fun are also nearby. 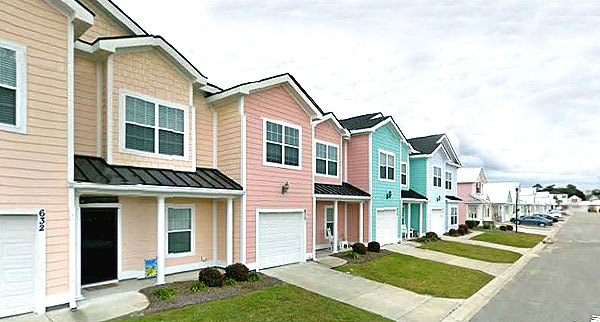 The 1and 2 story townhouses and patio homes are some of the best values in the Myrtle Beach area. The newly built residences are available in four 2 and 3 bedroom floor plans, priced between $139,000 and $169,000. These houses feature designer tile flooring in the kitchen and bath, a choice in appliance colors and styles, and full kitchens with granite counter tops. 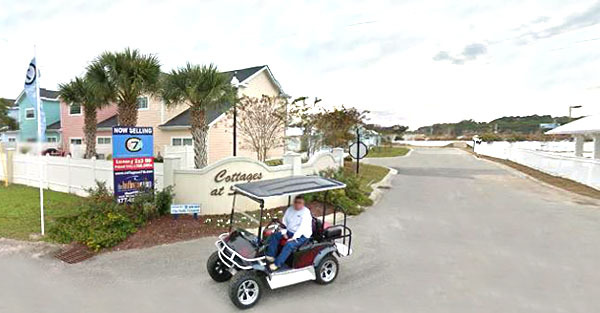 In this little community where everything is so conveniently close, a golf cart is the most practical way to get around so these townhomes have golf cart garages. Homeowners enjoy a community clubhouse with a picnic area, playground, pool, and spa. Pool maintenance, landscaping, trash pickup, building insurance, common electrical usage, and water/sewer are all covered by homeowners’ association fees. Be it an ideal place to raise a family, the perfect retirement home, or a great vacation investment, you can’t go wrong with the purchase of one of these homes. Call our real estate experts today for a tour of the townhouses for sale at The Cottages at 7th. Visit our website to learn more about amazing Myrtle Beach real estate.